my sweet friend, miss lisa morris, just sent me some of her gorgeous hand-painted atc papers and i am simply swooning over them! click the pic to zoom in. here's an atc i made with one of the papers...let your wings unfold...for my swap last month, the theme was "june bug." 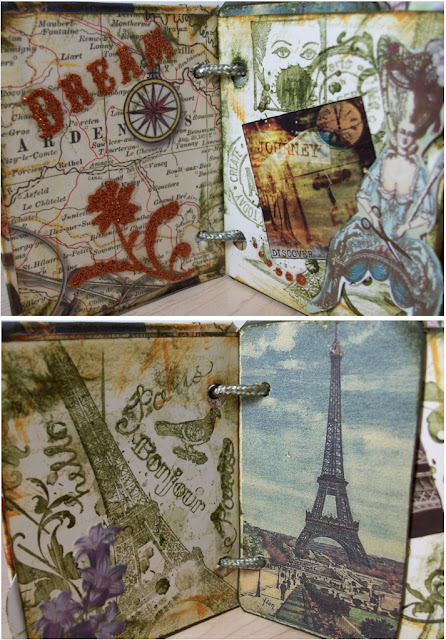 the july theme is posted here on the blog - click the atc swap tab at the top. swap with us! here is the incredibly wonderful book i received from valerie in germany. it is about 3"x4" with 13 two-sided pages inside. some pages are tag-shaped with ties on top, some have little pockets. 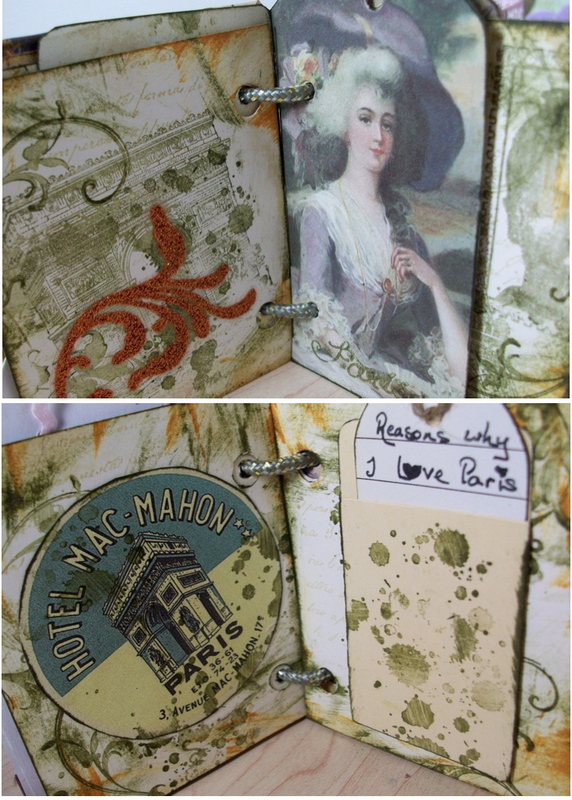 all the pages are stamped and collaged and full of delicious little distressed details. it's just soooo delightful, i could just flip through it all day. here are some of the page spreads. 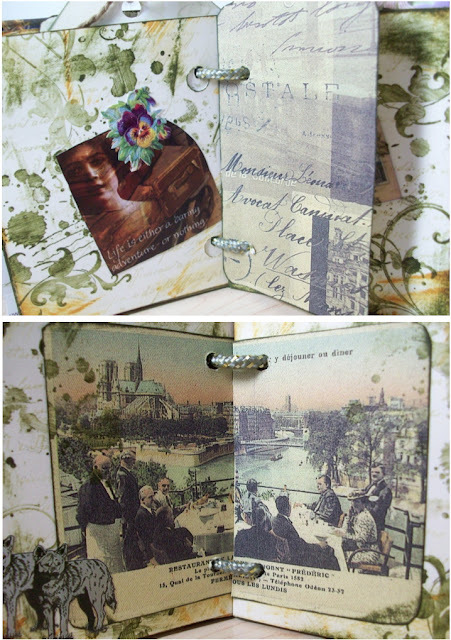 i recently did a mini book swap with a very talented mixed media artist in germany, valerie-jael tups. i met her through blogging; we both enjoy the paint party friday blog. i began with a 3" black blank board book and adhered painted, stamped, and other scrapbooky papers to each page. the cover title is french for "birds." i found this chinese proverb, printed it out on a strip and cut it into bits, and adhered a piece of the quote on to each page, to turn it into a little storybook. i like the quote...it reminds me of how i feel about creating art and craft...enjoy the process without being too worried about the results...also known as enjoying the journey as much as the destination.